Bond Touch bracelets make showing a far-away loved one you’re thinking of them as easy as touching your wrist. The concept was developed for couples in long distance relationships; however, the bracelets are gaining popularity with people with far away family or friends. Sold in pairs, the Bond Touch bracelets’ built-in sensors buzz when its partner is touched. It pairs to an app on your smartphone via bluetooth and sends your touches over cellular data or wifi. The app – available for iOS and Android – runs in the background; it must be open on both your phone and the recipient’s phone for the “touch” to send. When you order your Bond Touch bracelets, you receive in the box two touch sensors, two leather bands, bracelet closure studs, two punch tools and two chargers. You can then adjust the leather bands to fit you and your partner’s wrists, punch holes in it and go. Or, if you’re against leather bands or prefer a personal touch, you can use any bracelet of a similar width (beaded, braided, ribbon, your choice). You can also wear it as a pendant if you’re not a fan of bracelets. 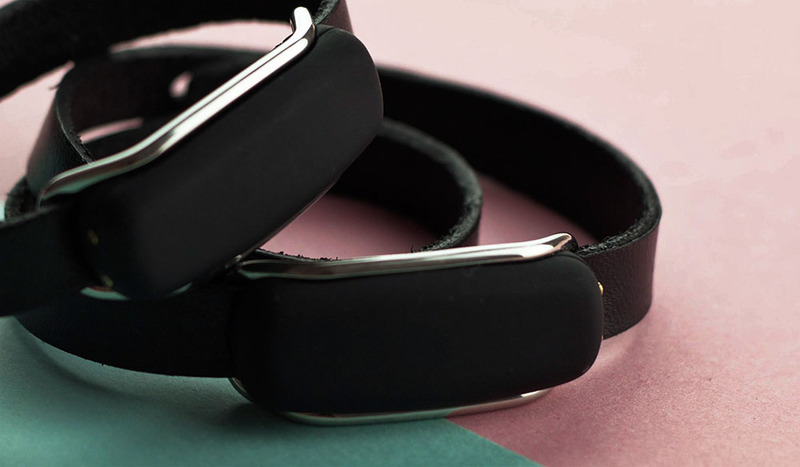 While there are still come kinks to iron out – like the less-than-adequate battery life – the bracelet helps people in long distance relationships add a more intimate aspect to their daily communications, without text messages or skype. Quench creative director gives his review in the video below.